The Boeing 737 being sunk in Chemanius. 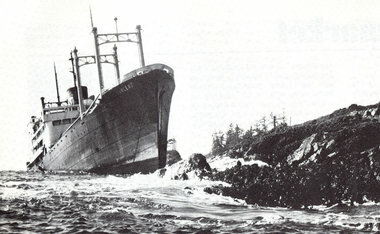 British Columbia has many artificial and "natural" wrecks to offer divers. As a club we frequently dive the artificial wrecks as they are meticulously prepped and pose little danger to divers as far as entanglement and entrapment hazards. Many of the artificial wrecks we dive on the Island are well over 100m in length and are almost impossible to see all of in one dive. Common wreck charters we put on include the GB Church, the HMCS Mckenzie, the HMCS Cape Breton and the HMCS Saskatchewan. We also hope to dive the recently sunken HMCS Annapolis just north of Vancouver sometime soon. All of the aforementioned wrecks are in place due to the Artificial Reef Society of British Columbia (ARSBC). 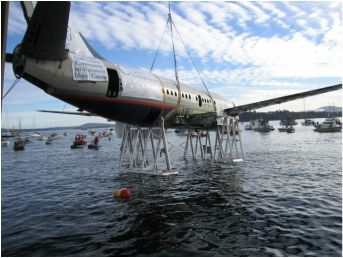 The Artificial Reef Society of British Columbia has been sinking ships and even a Boeing 737 airplane since 1989. Established artificial reefs like the HMCS Mckenzie, HMCS Saskatchewan and the 442' HMCS Cape Breton are covered in a sea of plumose anemones and a diverse range of other life. For the more technical oriented divers, there are several cut aways in the ships to allow for easy penetration and exploration. More recently, the HMCS Annapolis was sunk in Howe Sound (Vancouver). The only larger artificial reef outside of BC is the USS Oriskany - an 888' long aircraft carrier in Florida. 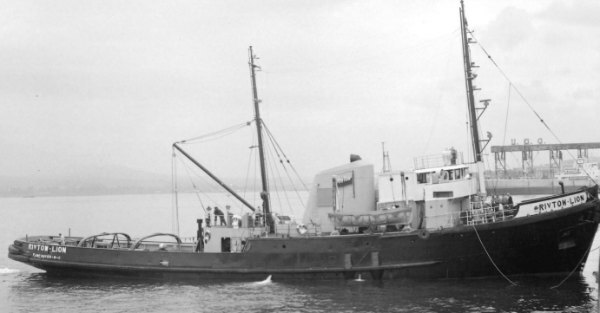 For information on wrecks not sunk by the ARSBC visit this link. As always, if any of these wreck dives interest you, send us an email and we will put a shore dive or charter together! 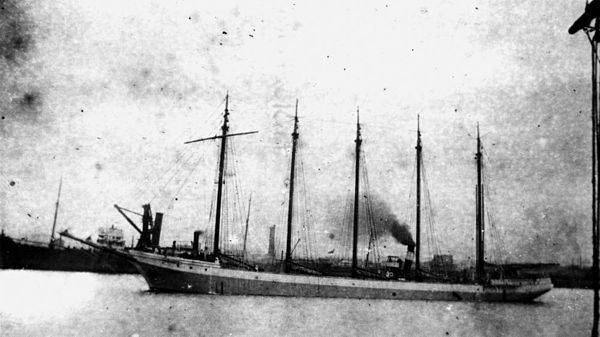 The Vanlene shortly before sinking.